This is a conversation between some friends and some experts that cover a variety of life and social subjects. Everybody has a way and an opinion about something. We'll talk about that here! Thanks for listening. In this episode of the Friends+Experts podcast, we catch up with Anthony Freeze (yes, he is my cousin), host of The 24-Hour Hustle Show and founder of 24 Hour Media. He drops some knowledge about being an entrepreneur and content creator as well as the importance of “Win-Win-Win” connection and helping others. Freeze also gives the audience a 24-Hour Challenge. In this episode of the Friends+Experts podcast, we speak with Rebekah L. Fraser, author of “A Farmer’s Guide to Climate Disruption.” We talk about climate change and how it should be instead called climate disruption; how to confront climate deniers; and how we should be selfish in our ways when it comes to climate disruption. Also, we chat about her first work of fiction, The Orderly and why one should never schedule a book reading against an evening with Ta-Nehisi Coates. In this short episode, host Michael Freeze goes into why he wanted to start this podcast, how he inherited $86.81, why he’s conservative-curious and the legend of Myk Phrease Week. In the latest episode of Friends + Experts, we speak with blogger and author Jennifer King about the writing process, the confidence it builds and the joys of early parenthood. Dr. Theresa Kulbaga, Associate Professor of American Studies & Women Studies at Miami (OH) University joins our episode to discuss the role of feminism, what it actually means and how to combat social injustice when it occurs, especially in our current political climate. We also have a conversation about the meaning of “himpathy,” her work at WordPlay Cincinnati and how literature and poetry can improve young lives, plus a preview of her new book, Campus of Consent. In this episode, we're talking about the post-Hurricane Michael efforts and aftermath through the story of Panama City, Florida resident and Friend Michael Thane. The state panhandle area as well as Mexico Beach and surrounding cities have been severely damaged by Hurricane Michael in October. Although the news cameras have left, there's still much that needs to be done. We speak with Michael about what's going on and what the media is not telling us. 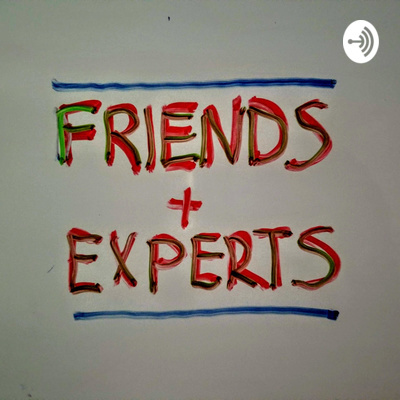 Welcome to the very first episode of the Friends+Experts Podcast: Friend and Expert Scott R. Howell of the National Association of Letter Carriers stops by to share his thoughts on the art of lobbying, the status of the American middle class, Catholics, the Supreme Court, Midterm elections and a little bit of Taylor Swift.